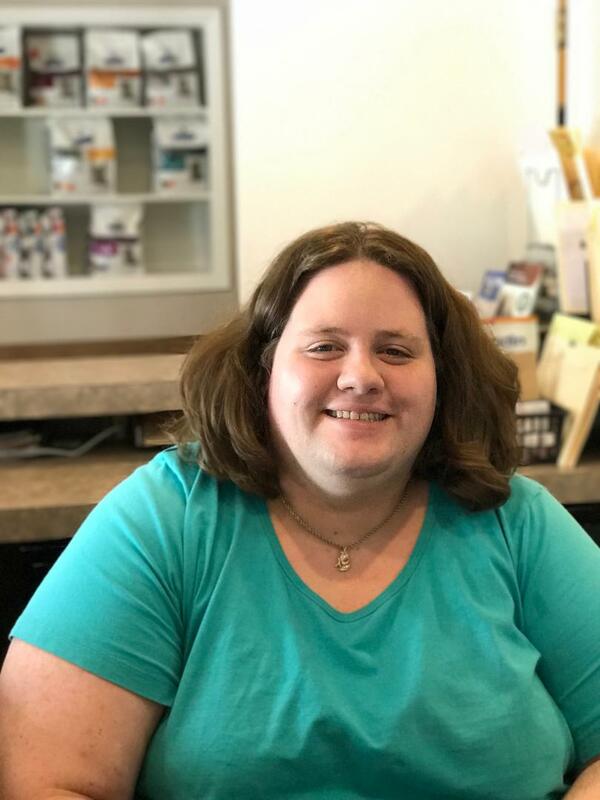 Mona joined our team in 2017 and is also one of the first smiling faces that will greet you. Mona and her husband have 3 beautiful daughters and share their home with Muffin, a fun 6# schnauzer-yorkie mix. She enjoys being with her family and friends in her down time. 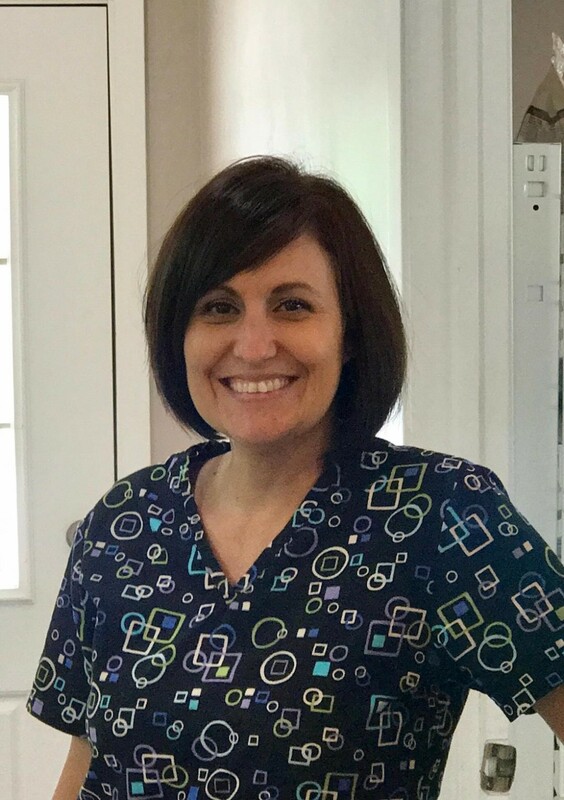 Brandi has been on our team since 2007 and oversees the daily operations of the clinic. Brandi and her husband Shannon are parents to Eli & Paycie and share their home with 2 Australian Shepherds, Cowboy & Tator and Tripp a Lab Mix. They enjoy anything outdoors including hunting and camping. It's difficult to pin a special place where Kristi can be found because she is everywhere all the time. 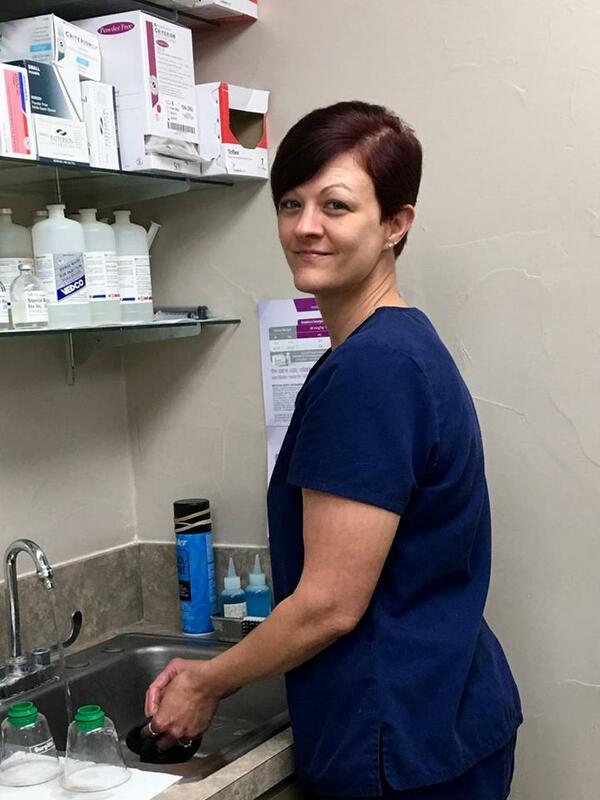 Her favorite place to be is assisting Dr. Gudgel in surgery, in the exam room and in treatment. 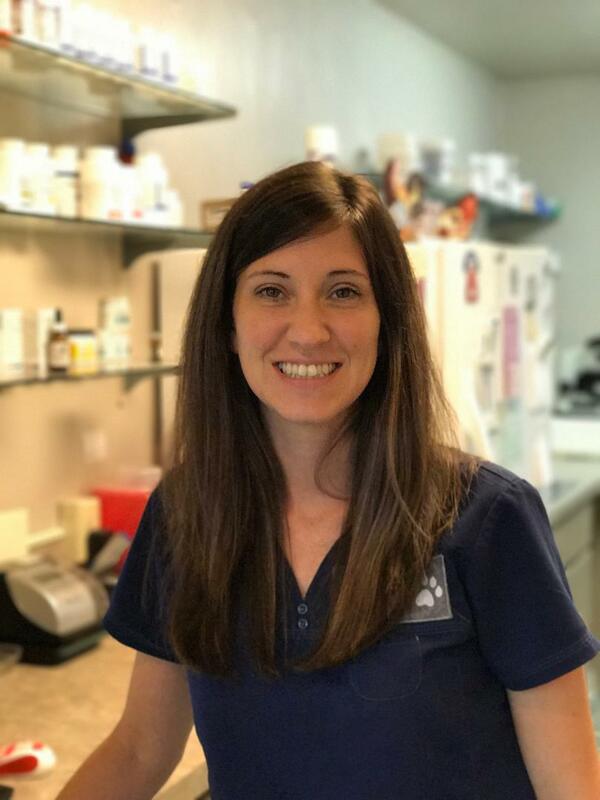 She says her job is to make life easier for Doc and she does just that. 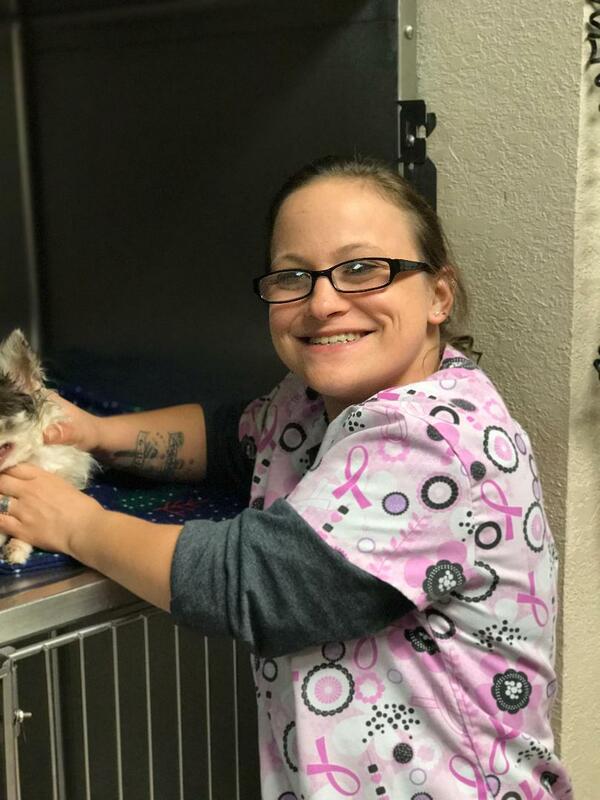 Trish and Dena are responsible for the kennels and daily care for the animals after surgery and in for treatments. They always have those smiles on for everyone. 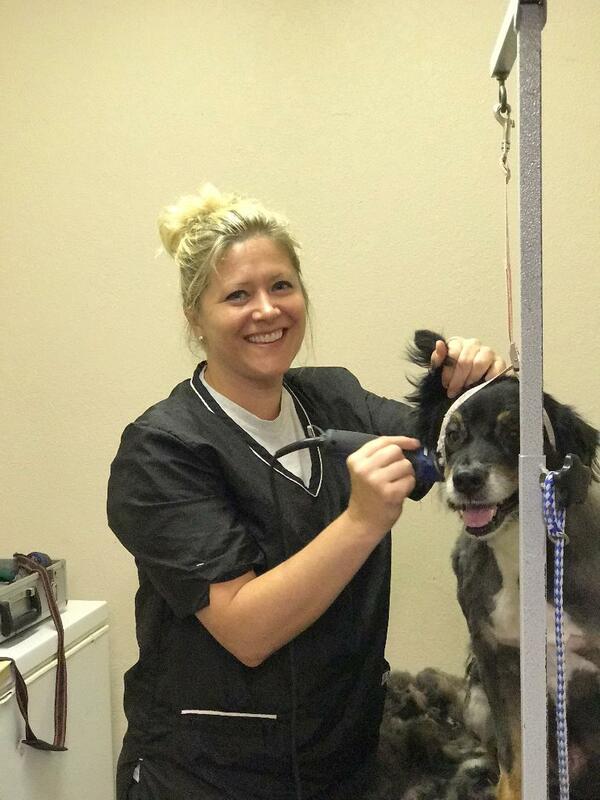 Courtney spends her day making your furry babies look beautiful. She is always available to recommend and discuss grooming needs for your pet.